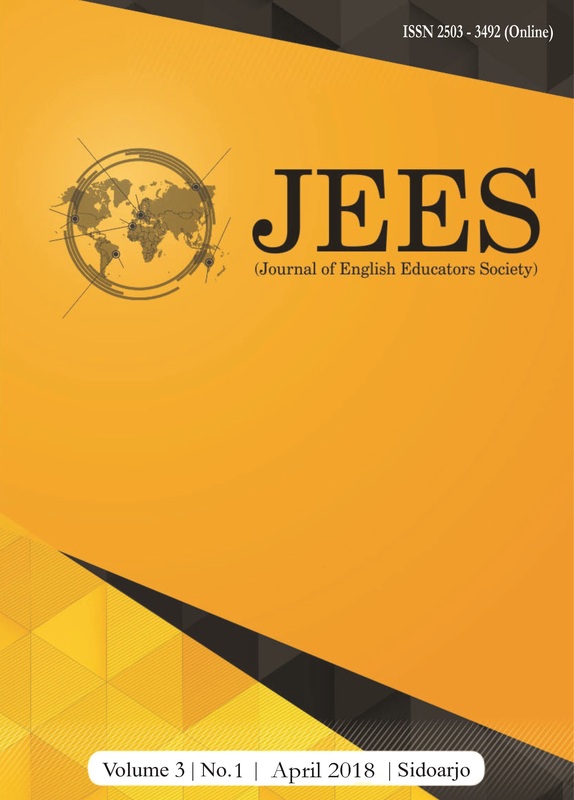 Journal of English Educators Society (JEES) a peer-reviewed English journal published by English Education Study Program, Faculty of Teacher Training and Education of Universitas Muhammadiyah Sidoarjo two times a year in April and October. The goal of this journal is to facilitate scholars, researchers, and teachers for publishing the original research articles or review articles. The articles basically contain any topics concerning with English education, Literature, and Linguistics. In 2017, JEES started to get international recognition through DOAJ indexing and has international author as well as reviewer. Editor in Chief Fika Megawati, M. Pd. Managing Editor Yuli Astutik, M.Pd. We would like to inform that JEES improves the paper performance by providing new published format version starting from Volume 4 Issue 1 April 2019. For submission, the authors are required to use the available template in ojs.